Realme, an emerging smartphone brand that specializes in providing high quality smartphones, today unveiled its line-up of devices for the Pakistan market – the Realme 2 Pro and Realme C1. Designed with today’s youth in mind, Realme’s tagline, ‘Proud to Be Young’, is focused on revolutionizing the smartphone for the younger generation, combining top notch performances with contemporary style. Realme is fully dedicated to addressing the needs of the youth. The brand has already been breaking records since its launch earlier this year in India, Indonesia, Malaysia, Vietnam, Thailand and Philippines. 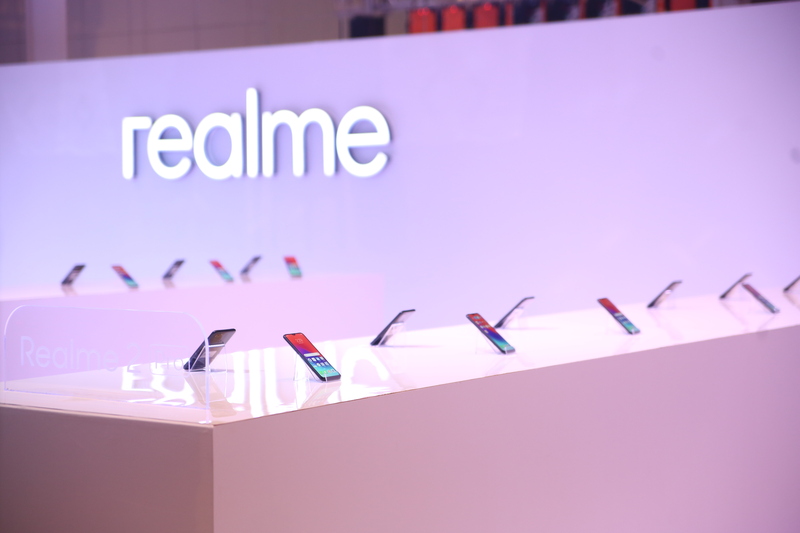 “By embodying the spirit of ‘Proud to Be Young’, Realme provides an optimum combination of bold, innovative designs and a balanced integration between software and hardware. 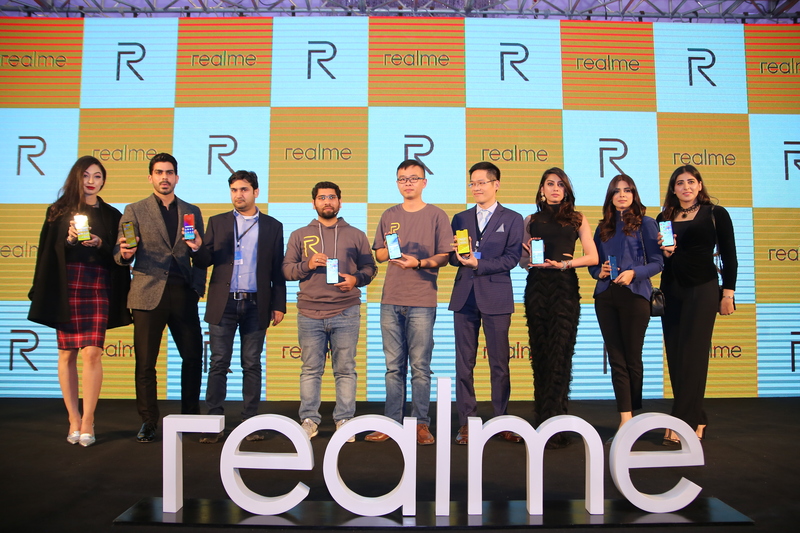 Realme represents the concept of ‘Power Meets Style’, or the amalgamation of fast performance and trendy designs, with remarkable prices,” said He Shunzhi, Marketing Head of Realme Pakistan. To showcase Realme’s philosophy – ‘Power meets Style’, Saud Ur Rehman, Product Manager of Realme Pakistan, introduced Realme 2 Pro and Realme C1 at the launch event together with Kedar Kondap, Vice President, Product Management of Qualcomm. With Qualcomm committed to creating paths to a smarter, and more connected world, Qualcomm’s partnership with Realme is unsurprising. “We see the increasing power of the younger generation thus it only made sense to work with Realme. The brand, while young, has some deep insights about what the youth require from devices like a smartphone. We are indeed proud to be collaborating with such a foresighted brand to provide the best, affordable products for the target market,” Saud said. Raising the ante at the launch, Realme also announced its collaboration with the leading e-commerce platform – Daraz in Pakistan. Realme’s ‘Flagship for Youth’, the Realme 2 Pro, will be sold exclusively on Daraz platforms. Faisal Malik, Commercial Director of Daraz said “Realme is another big name which has and is breaking through the walls in other parts of Asia. Soon it will be launched on Daraz Pakistan platform exclusively on amazing competitive prices. And it hopes to break all past records”. Do you know that Realme has crossed 4 Million users in 2018 i.e their first year? The retail price of Realme 2 Pro (8GB RAM + 128GB ROM) is Rs. 46,999, and the retail price of Realme C1 (2GB RAM + 16GB ROM) is Rs.18,999. As the ‘Entry-level King’, the Realme C1 will be sold exclusively within the time period from 9th Jan to 31st Jan on Daraz, the first sale of Realme C1 will start at 8 pm on 9th Jan with the special offer Rs.17,999. The first sale of Realme 2 Pro will start at 8 pm on 10th Jan with the special offer Rs 43,999. In order to elevate the user experience by providing Pakistani the chance to have a touch and feel of the products. Realme C1 will be available in more than 600 authorized stores across Pakistan from 31st Jan 2019. This is in line with Realme’s aim to provide smartphones that the youth need that helps them in their daily lives.